Is Chris Christie a Moderate? In the aftermath of republican Chris Christie’s recent re-election as governor of New Jersey, many in the press have been quick to make sweeping claims about what this means for the republicans nationally. Chief among these claims is the notion that Christie is a moderate–consequently, Christie’s victory is an indication that the republicans should or will become more moderate in the future. 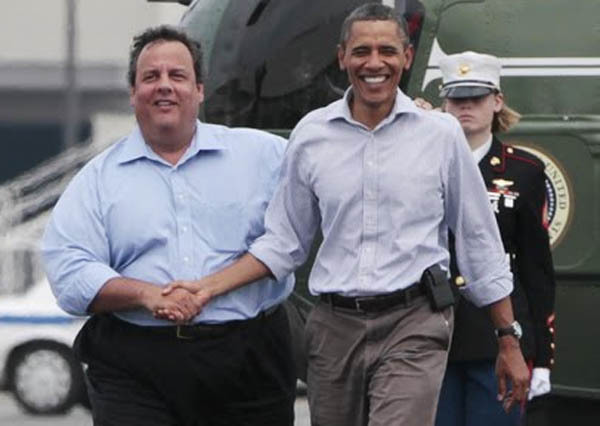 But while Christie has attempted to cultivate an image nationally as a centrist, reasonable republican who chills with Barack Obama and disses Rand Paul, I have not seen many in the press taking any kind of serious look at what Christie has done policy-wise in New Jersey. So let’s do that today. Christie produced the best job growth in a decade. Christie balanced budgets without raising taxes. Christie reformed the benefits and pensions system. Christie passed teacher tenure reform. Christie handled Hurricane Sandy well. I’d like to start by looking a little deeper at each of these. We can see here that New Jersey was in sync with the national average when Christie took office, at 9.7% to the nation’s 9.8%. 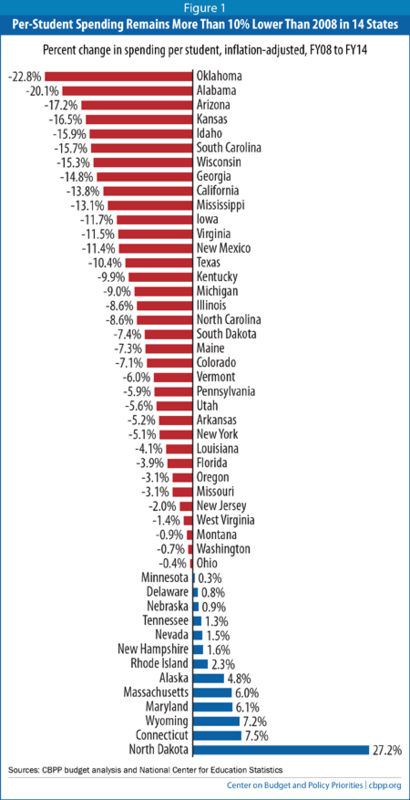 However, by the most recent data, a large gulf has opened up between New Jersey’s rates and the national average–New Jersey now posts 7.6% unemployment to the nation’s 6.3%. New Jersey went from being -0.1% to being plus +1.3%. This data suggests that Chris Christie created jobs less efficiently than did the average governor during the 2010-2013 period. Indeed, the figures become more damning when we look at the performance of the states surrounding New Jersey–New York, Connecticut, Pennsylvania, Delaware, and Maryland all boast unemployment rates that are lower than the national average, indicating that unless New Jersey is an unusually bad place by nature, it is being run much worse than all of the states around it. What is it that Christie might have done that would cause his state to perform so poorly? Let’s have a look at the rest of his claims and policies. In sum, Christie looks very much like a Paul Ryan or a David Cameron–he advocated for and embarked on a policy of slashing public services to pay for tax cuts and balance the budget during a period of deep economic malaise. The result was the same as it has been just about everywhere else this tactic has been tried–weak GDP growth and unemployment figures relative to places that forego austerity. Indeed, the International Monetary Fund (IMF) released a paper proving that when governments make spending cuts in times of economic crisis, they reduce their own growth rates such that their net financial positions are worsened rather than improved. The fact of the matter is that when all economic actors are refusing to consume, the state must step in and be the consumer of last resort. Businesses will not invest in increasing their output when sales of what they already produce are weak, no matter how much one cuts their taxes. 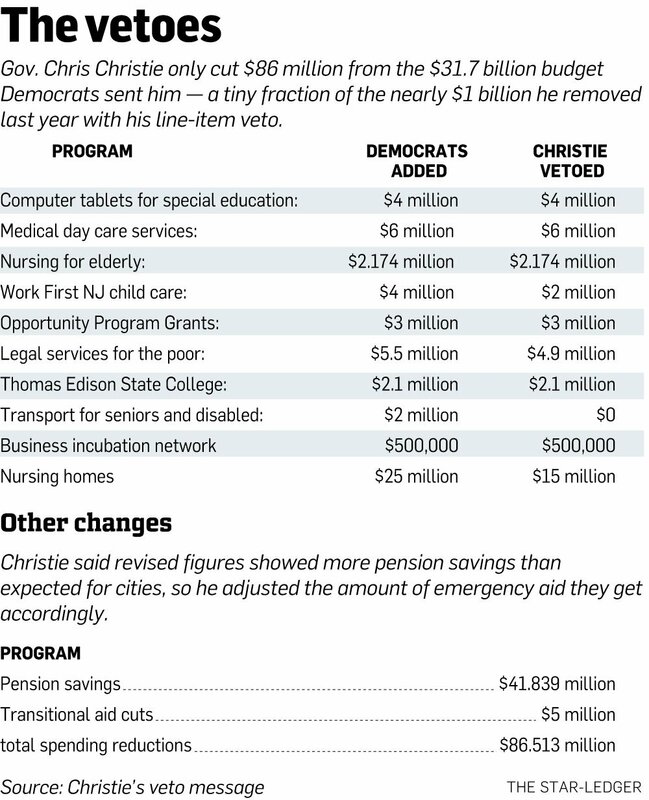 What’s important to note here is that Christie did not find some kind of magical third way on spending. He did precisely the sort of thing that Romney/Ryan were advocating in 2012. He is no less conservative than that ticket was. The fact that he has a conventional republican view of defense rather than the libertarian view Rand Paul holds is only further evidence of just how utterly normal Christie is as a republican in this day and age. But Christie claimed a few other things, so let’s look at them before we issue any final judgement. The specific education reforms Christie enacted were also supported by Mitt Romney when he was governor. The critiques of merit pay and school choice no longer really have party support–even Barack Obama has endorsed merit pay. There are many criticisms one can level at recent education reforms, but this piece isn’t the place for them. Suffice it to say that this is not a case of Christie being especially bipartisan or centrist, it just happens to be an issue for which there presently is a political consensus. Christie’s final big claim, that he was there to play savior during Hurricane Sandy, is roughly analogous in validity to Giuliani’s claim to have played savior during 9/11. Christie, like Giuliani, handled the crisis competently. It is not, in and of itself, indicative of any broadly centrist streak in Christie’s behavior–it merely served to garner sympathy support for him irrespective of his substantive policies. In summary, Chris Christie’s record as governor is more conservative than Mitt Romney’s was and his policies more or less correspond to the policies advocated by Romney/Ryan during the 2012 election. In viewing Christie with a centrist lens, journalists and pundits are only serving to further legitimize extremism. The republicans have invented a nifty trick here. By running run of the mill extremists like Romney or McCain against off-their-rocker types like Perry, Cain, and Bachmann, the Republican Party is able to make relatively extreme individuals appear moderate such that the media will treat them as such. We forget that at the time, Romney and Ryan were thought quite reasonable and were only condemned for extremist policies by expressly left wing journalists. It may be that the same trick is being played here. If the narrative in the press is that Christie is centrist, then Christie will be able to run on an extremist platform, contrasting himself with the Tea Partiers who will run against him so as to avoid scrutiny of the extremism of his own platform and past policies. While neither McCain nor Romney was ultimately successful with this strategy, republicans may feel that this was due to circumstances outside their control–Bush’s unpopularity hampered McCain, and Obama’s incumbency status hampered Romney. On this basis, they may try exactly the same kind of candidate they have tried in the past with the hope that the country will be fatigued with the Obama administration in 2016 just as it was fatigued with Bush in 2008. If so, Christie will fit that bill, not because he is in fact a moderate (he’s not), but because the press thinks he is, and the press will likely influence how the public will perceive him. On May 6, 2014, I discovered that some of the image links went dead on this post and updated them, along with the unemployment figures. Christie’s unemployment figures are slightly worse compared with the national rate than they were when this post was originally written.